Mark Wedul, MD (St Paul) - Book Appointment Online! 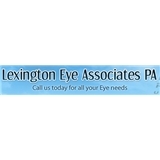 Lexington Eye Associates PA is a locally owned clinic, led by Dr. Mark Wedul has over 20 years ophthalmology experience. Our specialty is serving adults and seniors as well as children in the Saint Paul, MN area. We are certified and licensed, providing complete eye care service, from eye exam to disease treatment and corrective lenses.